Loren Gray Tries To Forget Her Ex in ‘Kick You Out’ Music Video – Watch! | First Listen, Loren Gray, Lyrics, Music, Music Video | Just Jared Jr.
Loren Gray Tries To Forget Her Ex in 'Kick You Out' Music Video - Watch! 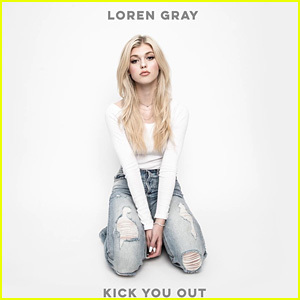 Loren Gray is back with a brand new song called “Kick You Out” and it’s so, so good! The infectious song is the second single out from the 16-year-old singer, her first being “My Story”. You can watch the official music video below and grab “Kick You Out” on all digital retailers now!